Hello dear readers. Awesome, that you have found your way onto my site. Pilotstories! 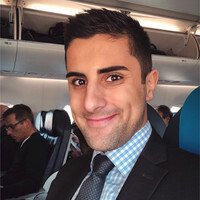 I am Aaron, a 24-years-old guy that has studied Aviation Management at the Internationalen University, Bad Honnef. Before my studies, I grew up in a wonderful German city called “Neuss”, right next to Düsseldorf. So, you may ask, how I have found my way into the world of aviation. This is quite simple. My mother has worked as a flight attendant for almost two decades. Of course, I accompanied her on several flights and was able to sneak into the aircraft’s flight deck as a child. From that time on, I discovered my passion for aviation, flying and everything related to the matter. This fire has not been extinguished until today. The aviation industry and its complex interrelationships still never fail to excite me. I am still fascinated by the fact, that several hundred tons-heavy machines seem to lift off so effortlessly. On this blog, I would like to share this passion with you guys. Feel free to subscribe to my blog and to visit me and Instagram and Facebook. Contact me anytime. I am looking forward to reading your feedback.